Mommy? is the only pop-up book illustrated by the extraordinary Maurice Sendak. Mommy? is an almost wordless pop-up book. Since it tells the story of a toddler searching for his mother among monsters and mummies, Mommy? is perfect for Halloween. Young children will find it delightfully creepy while older children and adults will appreciate the humor and the exceptional paper engineering. Maurice Sendak's award-winning books include Where the Wild Things Are, a Caldecott Medal winner. 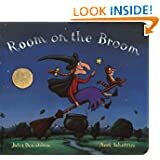 Whether your child is a preschooler, an independent reader, or somewhere in between, I have a children's Halloween book to recommend. 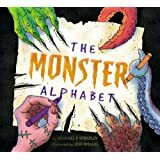 You'll find some not-too-scary picture books, one pretty scary picture book, a joke book, a science book about pumpkins and a cumulative tale, among others. 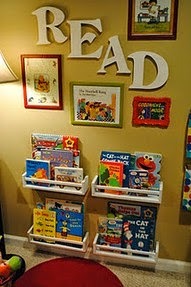 Several of the books feature popular characters (Nate the Great, the Berenstain Bears) and are part of a popular series. One of the Halloween picture books comes with an audiobook and an animated version of the story. By the Light of the Halloween Moon is an unusual Halloween picture book, a cumulative tale. Set at night and featuring a child with a wiggling toe, the tale is both amusing and slightly scary. The story, by Caroline Stutson, features alliteration and repetition. Kevin Hawkes's dramatic illustrations greatly add to the appeal of By the Light of the Halloween Moon. 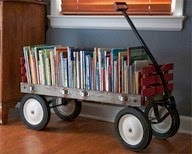 I recommend it for most kids ages 6-8 and some younger kids. Marshall Cavendish published the book in 2009. Celebrate Halloween with Pumpkins, Costumes, and Candy is a nonfiction book, one of many in the Holidays Around the World series. The book, by Deborah Heiligman, uses color photographs of children celebrating fall and Halloween in several different countries to illustrate the story of Halloween, its history and celebration. An afterword provides directions for a Halloween game, information about The Day of the Dead, a recipe for a Spooky Graveyard cake, a glossary, a map showing where the photographs were taken, a one-page essay by scholar Jack Santino, and recommended books and Web sites for readers eager to learn more about Halloween. What happens when a woman who hates pumpkins unexpectedly, and despite her best efforts to prevent it, has a bumper crop of pumpkins? What can she do? Her solution makes a very entertaining story. Author Linda White stresses community in this delightful Halloween picture book. Megan Lloyd's illustrations are delightful. Holiday House published the book in 1996. Tucker's Spooky Halloween provides extra fun for young kids because, in addition to the picture book, it comes with an animated version of the story, plus two audio versions. The story by Leslie McGuirk features a little white dog, Tucker, and the problems he encounters as he tries to convince his owner to dress him in a scary costume for Halloween. The illustrations by McQuirk have a nice simplicity. Candlewick Press published Tucker's Spooky Halloween in 2009 as part of its Candlewick Storybook Animations Series. This charming story by Charlotte Zolotow is about Thomas, a little boy who moves into a "new house on a new street" and never ventures from his front steps because he thinks his neighbors don't like him. Day after day, he watches children playing and neighbors walking by. When Halloween comes, he is surprised to find that his neighbors, children and adults alike, recognize him, despite the tiger mask he hides behind, and want to be friends. He goes home a happy boy. Humbug Witch by Lorna Balian tells the story of a scary-looking little witch who finds that, despite looking like a witch, she can't do what witches do. The little witch is quite a sight, with a big nose, crooked teeth and stringy red hair. Although she tries, the little witch can't cackle like a witch, fly on a broom, cast magical spells or make magic potions. We find out why when the little witch removes her costume and mask, and we see she is a little girl who has been dressed up for Halloween. The simple illustrations are full of humor, much of it the result of the expression on the face of the black cat as he watches the little witch. This is a good book for three- to five-year-olds. 9. What was I Scared of? What Was I Scared Of? by Dr Seuss is a new picture book edition of an old Dr. Seuss story that first appeared in The Sneeches and Other Stories. Subtitled: A Glow-in-the-Dark Encounter, this children's book is a sweet story of two creatures who start out scared of one another, even though one is "A pair of green pants / With nobody inside then!" The narrator is scared of the pants, but ends up comforting the pants when he realizes the pair of pants is very scared of him. 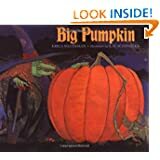 While not a Halloween story, it's a good very slightly scary story for ages 4-8 during the Halloween season, particularly since special ink makes some of the artwork on every page glow in the dark. (Random House, 2009; ISBN: 9780375853425) Compare prices. 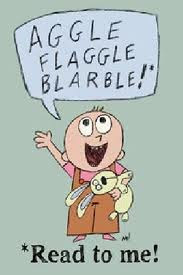 This book is part of Stan and Jan Berenstain's First Time Books series. For the first time, Brother and Sister Bear are going trick or treating without an adult along. While the authors emphasize the rules for Halloween safety, they also tell an entertaining story about not judging by appearances. (Random House,1989 ISBN: 0679800913) Compare prices. 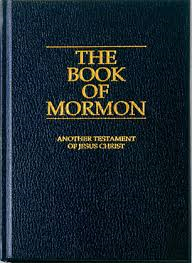 This clever book works on several levels. It's a book of funny Halloween knock-knock jokes; it's a fun interactive lift-the-flap book, and it's the amusing story of a boy's and girl's adventure in a haunted house. If you are looking for a warm and gentle book about Halloween for a very young child, Moonlight: The Halloween Cat is it. Halloween is Moonlight's favorite night, and author Cynthia Rylant describes how he enjoys walking around the neighborhood, watching the children in costume and seeing the jack-o-lanterns glow. Illustrator Melissa Sweet's full page artwork provides a window on a magical Halloween night. (HarperCollins, 2003. ISBN: 0060297123) Compare prices. This delightful picture book features the wonderful oil paintings of Dean Morrissey. 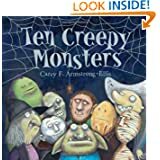 Although not a Halloween story, it features some of the most delightfully odd looking monsters you will ever see, perfect for the Halloween season. A little boy, Paddy, spends the night at his grandpa's place, which includes a shop filled with antiques and equipment. When Paddy worries about monsters, his grandpa builds some monster traps for him, with surprising results. (HarperCollins, 2004. ISBN: 0060524987) Compare prices. The rhythmic text and the colorful photography make Pumpkin Circle a very appealing science book for a wide range of ages. The author, George Levenson, covers the life cycle of pumpkins, from seeds to pumpkins to jack o' lanterns back to seeds. At the end of the book, there is a page of additional information about pumpkins, including planting tips. The engaging photographs by Shmuel Thaler, which cover a year in the garden, complement the text. (Tricycle Press, 1999. ISBN: 1582460787) Compare prices. This entertaining detective story by Marjorie Weinman Sharmat, with illustrations by Marc Simont, is written at the 2.1 reading level and will appeal to beginning readers. On Halloween night, Nate's friend Rosamond comes to his house to ask him to help find her missing cat, Little Hex. Nate the Great and his dog, Sludge, are on the case! (Yearling Books, reissue 1990. ISBN: 0440403413) Compare prices. 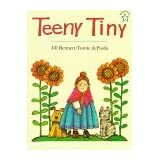 Teeny Tiny by Jill Bennett and Tomie dePaola (Dec 29, 1997) otherwise known as the Teeny Tiny Woman.